"He heard about how the Flames didn't have the cap space to sign Ian White." 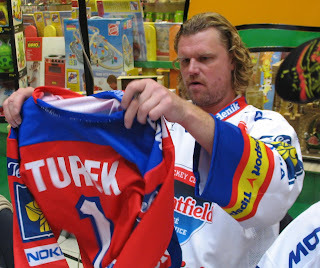 if you read that article on gus thorsen in the herald, you'll know that roman turek was the funniest dude gus ever met. which is, of course, awesomesauce.